What a great opportunity to own one of the most successful bakeries in Prescott. This building is centrally located to everything that Prescott has to offer and sits on one of the most popular streets for through trafficking meaning your company will have organic marketing through signs and location. The building itself is well maintained and upgraded, offering city approved commercial kitchen with two oven, washer, dryer, , full dish washing station with grease catch, two multi-purpose rooms or work centers that can be easily converted to any type of work space or living space. A handicap accessible half bath located perfectly for employees and customers. The front area is a perfect size for a walk-in traffic that either wants to pick up a quick bite to eat or pick up their custom order.The building can also be used as a residential or commercial purpose. Meaning, you can live where you work! The lot behind the building is also available for sale. This lot offers a great two-fold opportunity. Either expansion or investment. This lot offers opportunities for expansion or investment to a build a single-family home or up to a four plex (subject to city approval). What a great investment opportunity! If you want something turn-key, then Creative Cakes and Deserts by Dena can be combined for purchase as well! You have the location, the bakery and name and product that everyone knows taste and presents! 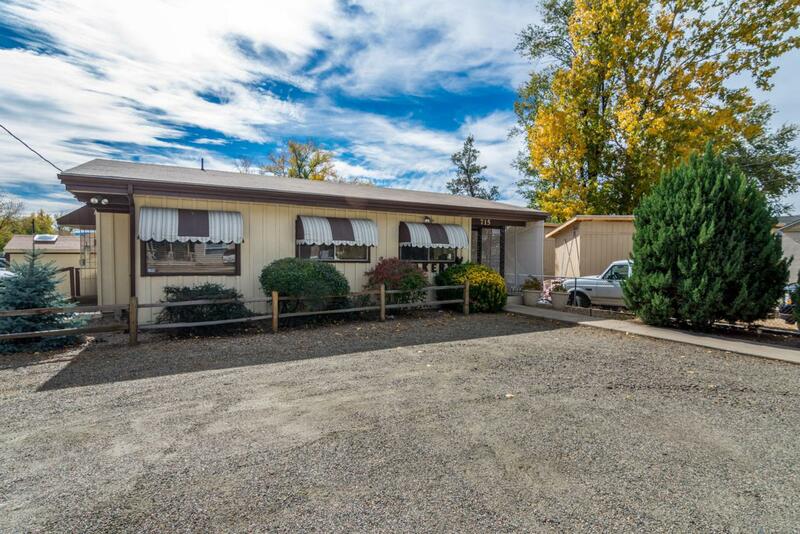 This is one of the best opportunities to come in a long time, whether you've been wanting the location, you've wanted the investment, or you've wanted a turn key business it's all here! ***Seller will stay and train a new owner for a negotiated time frame. ***** ''Vacant lot is in the back of the property and can be sold separately.There is also a business opportunity priced at $70,000 known as Creative Cakes and Desserts by Dena. The commercial building can be purchased for $200,000 Please see upgrades list. Listing provided courtesy of James Rusch-Michener of Better Homes And Gardens Real Estate Bloomtree Realty.